Stephen Schreibeis graduated from Dawson County High School. He received his undergraduate degree with a major in Mathematics and minor in Business Education from Mayville State University. He went on to teach high school math in Yerington, NV where he coached football and baseball. While in Yerington, Mr. Schreibeis had the pleasure of coaching two state championships baseball teams, two academic state baseball championship teams, and was voted Nevada Coach of the Year two years in a row. Mr. Schreibeis also published a teaching strategy called "Stages of Learning" which allowed him to speak at trainings, seminars, and a Mega Conference in Las Vegas, NV. 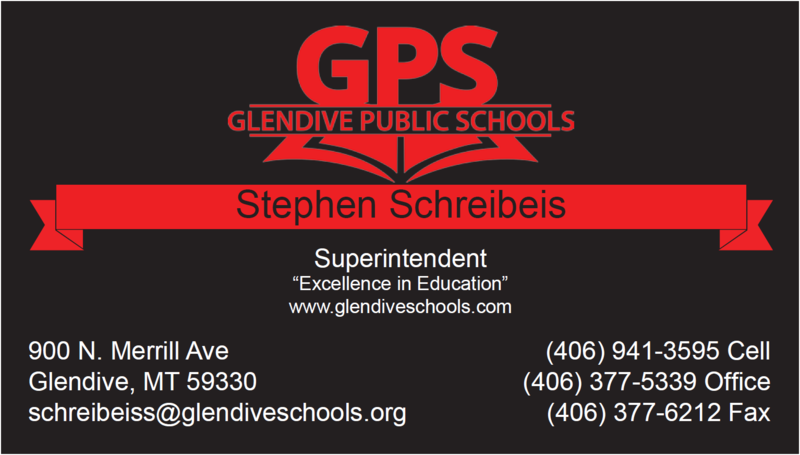 Mr. Schreibeis graduated from Grand Canyon University with his Master's of Education in Educational Administration. Shortly after that, he received his first job as Assistant Principal at Yerington Intermediate School. 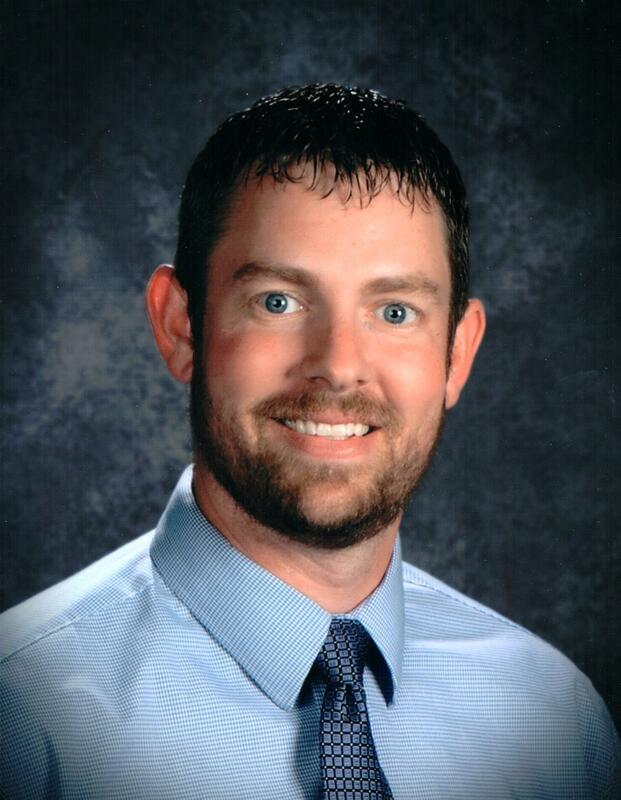 He went on to be an Assistant Principal at Laurel High School and Dawson County High School, the Principal at Jefferson Elementary School, and is currently the Superintendent at Glendive Public Schools. Mr. Schreibeis is married to Charity Schreibeis, an art teacher at Dawson County High School. The Schreibeis' have four children, Charlie, Brody, Beau and Chace. 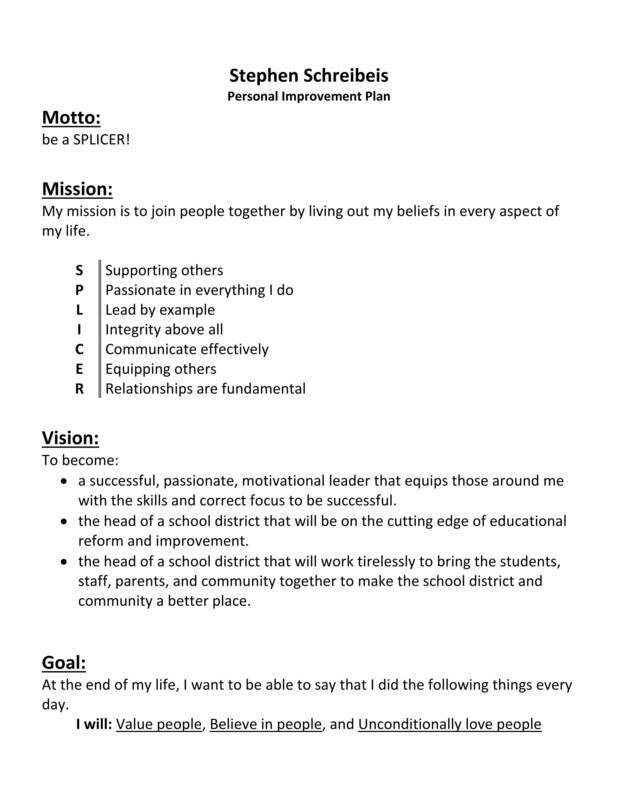 Mr. Schreibeis' personal growth plan is below.